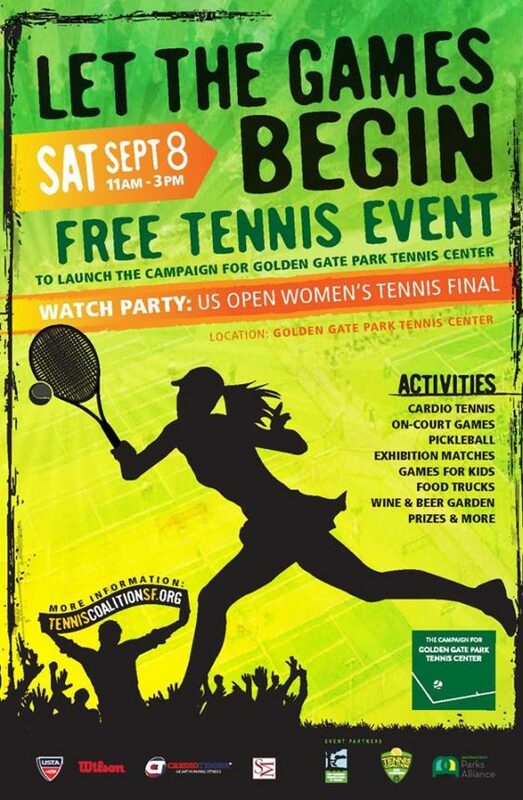 Join SF Rec and Park and the Tennis Coalition for the launch of their Golden Gate Park Tennis Center campaign on Saturday, September 8 from 11 am to 3 pm. 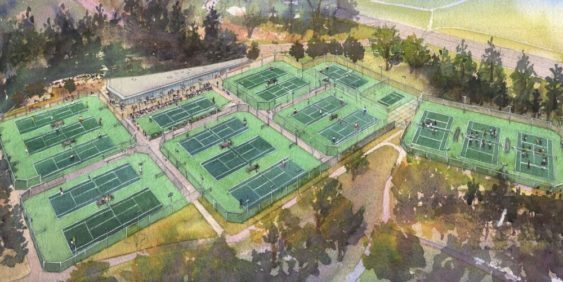 They’re looking to renovate the parks’ tennis courts into an epic new tennis complex scheduled to open in 2020 for Golden Gate Park’s 150th Anniversary. See the plans. Come to this free event that will feature a fun day of on-court activities, games for kids, food trucks, a beer & wine garden and a watch party for the US Open Women’s Final. This event will help kick off the “final set” of fundraising to renovate the Golden Gate Park Tennis Center. At the Tennis Coalition’s upcoming US Open Women’s Tennis Finals watch party on September 8, you’ll have the chance to enjoy great food from local eateries Banh MiZon, Creperie Saint-Germain, “Pepitosicecream,” Annie’s Hotdogs, and El Tonayense. Wash everything down with a drink from local brewery Fort Point Beer Company, winery Sean Minor Wines, or Hint.